Lots of people enjoy the sophistication of modern tools because they can make it easier to complete daily activities. Some advanced technologies that are present, are very sophisticated and very useful. Robots that have abilities as well as human behavior. Some can cry, laugh, dance, sing and catch insects. There are even robots that have the ability to express sad, disappointed, happy, angry, and other expressions. The existence of these sophisticated robots can be used to help human life on this earth. Busy with office work and other things, making it difficult for us to rest. When our ordinary day is busy with office work, on weekends we still have to be busy with tidying up the house. For those who have small houses, it certainly is not a problem, but what about those who have big houses? For this reason we need the name of a maid. Not a human helper, but a helper robot. With a helper robot, we don't need to worry about getting tired of cleaning the house. Helper robots were created by Honda named Asimo specifically designed to help human tasks in terms of berberes home. Who among you likes to cook in the kitchen? It cannot be denied, right now not only women are happy with cooking. The cooking hobby has now spread to men. The following technology is perfect for those who like to cook in the kitchen. The technology is called Hello Egg. Hello Egg can be said as an asister in the kitchen. Who doesn't want to have a kitchen assistant? With the help of Hello Egg, you can plan a food menu for the next few days. Hello Egg can help you make a list of what you need to buy and give instructions when cooking. Not only sounds, Hello Egg can display videos to help you more. Great isn't it? All humans need what they call sleep. With enough sleep, it can restore the body's energy. Whether it's lacking or too long to sleep, both can have a negative effect on the body. Knowing the importance of sleep, do you want to sleep on a bed that can give you good quality sleep? Definitely want it right? Here is a 360 Smart Bed, a smart bed specifically designed to provide sleeping comfort that you never felt in another bed. If you have a problem with snoring. this bed can raise your head slowly so that snoring can decrease. This bed can also give a feeling of warmth in the legs so that it can make a person sleep faster. In the morning, via a smartphone, you can see information whether you have got quality sleep or not. The density of the streets of the capital was caused by the many vehicles that filled the streets. It's hard to find the right solution to fix this problem. If only there were alternatives to other vehicles. It doesn't need to be assumed, because soon there will be a tool that can be a solution to move places without having to feel jammed. Be prepared to welcome, Jet Pack International H202. What is the H202 Jet Pack International? Jet Pack International H202 is a jet pack technology that allows users to fly in the sky as high as 76 meters and with speeds reaching 123 km / hour. Cool isn't it? Unfortunately, this jet pack is still not commercially sold. Maybe we can have a few years later. The Star Wars film presents a number of advanced technologies that can astonish us. For those of you who have watched Star Wars films before, do you still remember those high speed bikes that can float? If still, these sophisticated bikes are expected to be ready for us to enjoy soon. Is a technology called Aerofex Aero-X that is ready to make you feel how it feels to ride a bicycle like in a Star Wars movie. After 15 years of research, Aerofex Aero-X is a hover that has the equivalent of 240 horsepower. Aerofex Aero-X can float as high as 3 meters and accelerate to a speed of 72 km / hr. Have you watched the Iron Man movie? Iron Man is one of the famous superheroes from Marvel. In the film, you can see the superhero, Tony Stark looking at the world and other things through images displayed by his sophisticated computer. This technology, we are now called Augmented Reality. It's cool if we can use the technology. Actually, Augmented Reality technology already exists, but its use is still very limited. Augmented reality has developed very rapidly over time. If you can be patient, maybe later you can see cartoon characters, aliens or zombies on the road. Or, you can just change the people around you to become your favorite model if you want. That's 6 Technology that is very sophisticated and may be awaited by many people, the world is getting more sophisticated and more tools that make everyday human life easier. 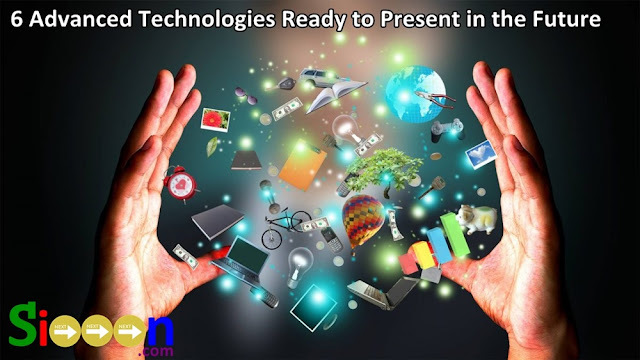 Keyword: Advanced Technology, Future Technology Tools, the Most Awaited Future Technology, Modern and Sophisticated Tools, Technology Tools that can change the Future, List of Advanced and Modern Objects, List of Future Technology Tools.